**Gasps** Not even a month has passed and yet here I am again, with the next part of Beloved. I am bound and determined not to let this hang any longer than necessary. I want Will to get what he deserves, as well as a few others. Please, as always, read and comment! Buffy!Muse and I have been on far friendlier terms than we have in quite awhile. I believe she should be rewarded. All praise her! Goddess bless Willa, my first and foremost mentor, gillo, for making my scribbling into more acceptable reading, celesteavonne for loving on my Will, and supporting the rest of the cast of characters, and just_sue because she’s always on my mind, even when she’s not on her computer. In the solitude of his room, Will stared at his computer screen. The Google logo blinked with multi-colored lights woven into it heralding the holiday season. His fingers twitched over the keys, hesitating. With a sigh of resignation, he quickly typed in a name. Alexander Harris. Xander Harris, as Buffy knew him. For some reason, the one-eyed man had been haunting his dreams, and he felt the need to do something. Unfortunately, talking to his parents or even to Buffy didn’t seem like viable options. There were several pages of results, none of the Harris descriptions matched the man he was looking for until he came across a newspaper article. “Mr. Alexander Harris, forty-three years old, released from prison after serving seven years for complicity in the kidnapping and torture of… blah, blah, blah. The rest of the words faded into meaningless drivel before Will’s eyes. A quick skim of the article revealed the information he needed, and a few more clicks led to the address he had sought. The man, designated a child molester, was forced to report his status wherever he moved to. He was now located in… Ventura! Buffy’s voice in his ear startled Will. He’d been so engrossed in thought that he hadn’t felt her presence at all. He thought for a moment before answering. Watching as the brief look of hurt crossed her expression, Will held his hand up, fingers splayed. After a brief double-take, Buffy matched her hand to his, and he felt a slight warmth along with the little tingle he always felt. And there was a second double-take. Will nodded. “This is about Spike, isn’t it?” he asked. Xander sat in the middle of his livingroom, eying his latest driftwood creation-in-progress. If he angled his head just right, his perception wasn’t hampered by his missing eye. Now, if only he could also miss the damned arthritis in his knees and fingers, he would be a happier man. These days he was just grateful for his freedom. Even though they were no longer close, Willow had finally gone to the Council’s authorities and raided Roger Wyndham Pryce’s lab complex for the detailed notes he’d left behind. They went a long way towards getting him an earlier release. He put down his work, and turned his face to the window, basking in the sun like a cat. The sharp knock at his door startled him. The only visits he got were from delivery men, and he hadn’t ordered anything, materials or food lately. “Coming,” he said, gathering his cane from the floor before getting up. “Hold your horses,” he added in a louder voice when the knock sounded again. The young man stood still, taking stock of Xander. Xander knew from staring into the mirror to shave every morning exactly what the lad saw – an aging man with a slight hunch in posture, long hair pulled back in a low ponytail – more salt than pepper, leaning heavily on a cane topped with a wooden Tweety Bird. Not the most glamorous he’d ever been – or, to be honest, mature – look. The boy stood there, not saying a word for so long, Xander wondered if he’d reverted to being non-verbal. Will rolled his eyes at the babbling, and stepped across the threshold, settling the matter in one easy step. After a slight hesitation, Will said, “Honestly, I don’t have a clue.” He rubbed the back of his neck nervously, a very familiar gesture, Xander noted. He, too, felt a touch of the heebie-jeebies. “Look, kid…” he started, staring down at the floor. Xander was floored. “Huh?” was the only intelligible thing he could come up with. “Even knowing it was me?” Xander could see the naked curiosity and trepidation in Will’s eyes. Will chewed his bottom lip, as if debating his next words. “Well, for what it’s worth, I-I forgive you for being a part of that whole mess.” He, too, stared down at the floor. It was obviously hard to look Xander in the face. “As long as we’re both in the forgiving zone, are you curious as to why I look like a pirate?” For some reason, Xander wanted to reassure the kid… tell him something good. “I guess,” Will replied, looking up. Will nodded, definitely curious as to where Xander was going. 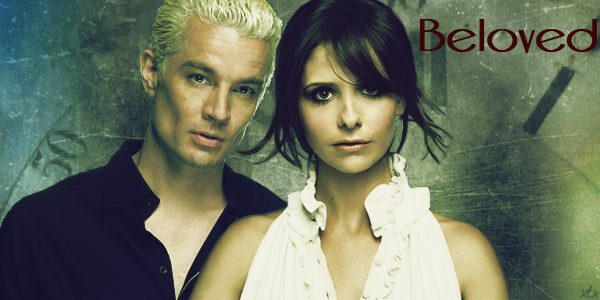 “Me and Willow and sometimes Spike used to go out and dust vampires with Buffy, back when we lived in Sunnydale. During one of our annual apocalypses, we ran into a madman – Caleb.” Xander rubbed his eyepatch as he talked; a slight pain had begun to build in the socket. Looking a little green, Will covered his mouth. “So I guess there’s no good news on breaking that statue spell? Will was looking at him now in rapt attention. Xander nodded. “That was the worst of it,” he admitted. “Huh,” was all Will said. “Geeze Louise, I’m awfully popular today,” Xander said, and got up to see who was there. “And to what do I owe this great pleasure?” Xander asked, warily. “I’ll need to see your I.D., Mr. Dowell, although it is a relief to know there’s nothing funny going on,” the officer said. Sorry, kiddo, I wasn’t thinking.” Xander hung his head just a little, snorting at the realization that Will was more responsible than he was at his tender age. And definitely as unlike Spike as could be, at least in one aspect. He took out a pitcher of ice water and handed Will the legal frosty libation. With those final words, Will headed for the door, Xander following right behind. He got into his car, buckled his seat belt and rolled down the window. “Merry Christmas,” he said with a small nod of his head, and backed out of the driveway, heading for home. Xander stood outside long after Will’s car faded from sight, smiling, and for the first time in ages, his heart lifted. I loved that. They both needed that interaction. They both needed to grow up, I think. It was good for the souls. Glad you enjoyed. Thanks for giving us an update so soon in the new year! The guy has nothing but time, and I think that rounds up his story nicely. So glad you're still reading. More to come, with luck. Oh nice! Got to read a couple of chapters in a row and it was a pleasure. Will mending fences with Xander was great. The last chapter with Drusilla was stressful, poor Buffy having to watch and not being able to do anything. Pure torture, especially for her!